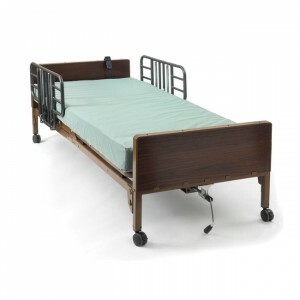 Semi-electric beds are medical beds that are quite similar to full-electric hospital beds. 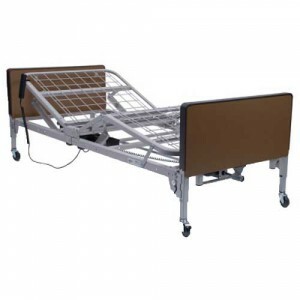 Although both semi-electric and full-electric hospital beds both use motors to raise the head and foot sections of the bed, semi-electric homcare beds have the capability to raise or lower the height of the bed parallel to the floor automatically. Semi-electric beds use a hand crank to raise and lower the bed deck. 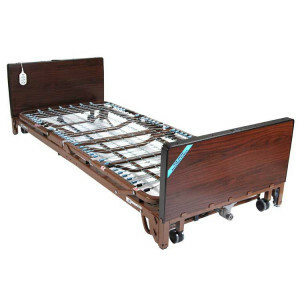 Drive Medical: Drive Medical is a leading manufacturer of medical supplies, and offers several different semi-electric beds, including models with channel frames and ultra-light models. 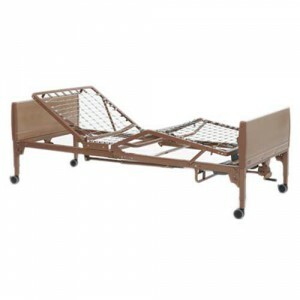 Invacare: Invacare is another leading manufacturer of medical supplies, including hospital beds. 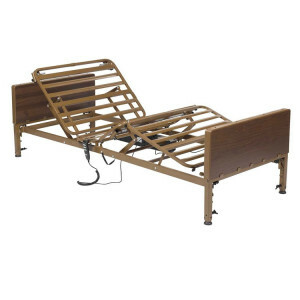 If you're looking for a semi-electric hospital bed that's simultaneously sturdy and economical, take a look at the selection that Invacare offers. 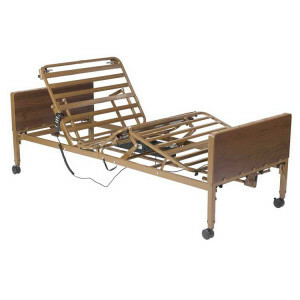 Graham-Field: Graham-Field carries several different types of hospital beds, including a semi-electric hospital bed ideal for use within a care facility, home or hospital. 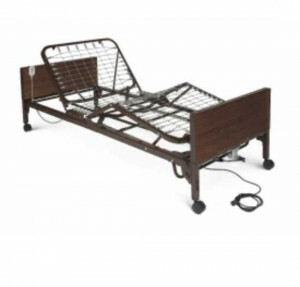 The advantages and disadvantages offered by semi electric hospital beds and other hospital beds can be viewed at Hospital Bed Comparisons.